UPDATED 25 SEPT 2018 – see below! I’ve seen several requests for good quality vector images of the (semi) standard Society for Creative Anachronism officer badges go past on various Facebook groups with no answers. I was bored and looking for something sedentary to do this weekend so I sat down with some really low-resolution badge images off my local barony’s website and cranked out a set of officer badges on Inkscape. 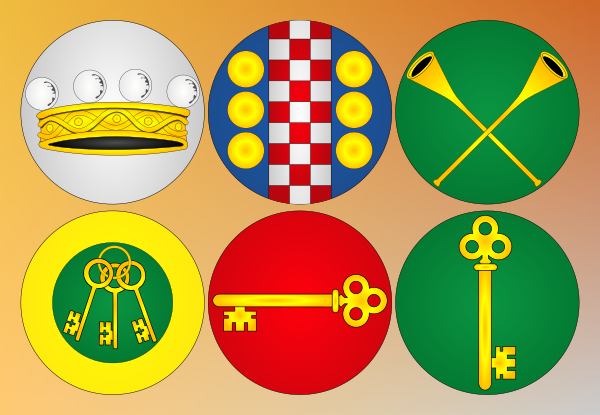 Note that these are based on the badges in use at this time on the Barony of Seagirt, Principality of Tir Righ, Kingdom of An Tir, and SCA, Inc site; any errors or omissions are entirely on my head! Several of them are probably specific to An Tir (the Scribal badge, for example) but if there’s something different in use in your kingdom that you’d like me to do up a version of and include please let me know! 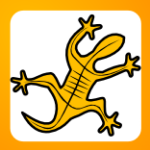 The ZIP file has three sizes of each badge in PNG format for immediate use, SVG versions of each badge, and a short text README file. Original copyright of these badge designs is unknown, probably SCA, Inc but released for SCA-related uses. Accordingly, I’m releasing these as “available for any SCA-related uses” without specifying a CC license or suggesting I have any real license over the designs. Feedback or suggestions always appreciated. Leave a comment below or email me at wirelizard@gmail.com.